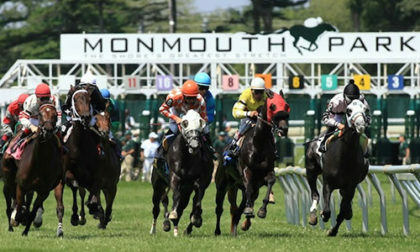 The New Jersey Thoroughbred Horsemen’s Association (NJTHA), the parent company of New Jersey’s Monmouth Park Racetrack, has been denied in its attempt to potentially claim at least $150 million in damages from the five prominent United States-based sports associations who battled the State of New Jersey and the NJTHA over the federal-level PASPA (Professional and Amateur Sports Protection Act), the now-defunct federal law that formerly banned legalized sports betting across nearly the entire US. In an opinion filed on Friday, November 16, 2018, US District Judge Michael A. Shipp ruled against the NJTHA’s assertion that it was wrongfully enjoined by the sports’ leagues legal battle to block several laws passed by New Jersey that authorized sports wagering from taking effect. The opinion delivered by Judge Shipp denies the NJTHA not only its hoped-for damages based on a claim of years of lost sports-betting business, but even a $3.4 million bond collectively posted by the five associations opposing New Jersey in the “Christie I” and “Christie II” cases. The National Football League (NFL), National Collegiate Athletic Association (NCAA), Major League Baseball (MLB), National Basketball Association (NBA), and National Hockey League (NHL), first filed in 2012 to block New Jersey’s legalization plans, which were first approved by voter referendum. The leagues successfully kept New Jersey’s legalization plans from going into effect until last May, when the US Supreme Court ruled PASPA unconstitutional. Several states have already authorized legal sports wagering in the six months since SCOTUS nullifed PASPA, with more expected to follow in the near future. Monmouth Park is one of several New Jersey venues that has introduced sports wagering. Judge Shipp’s ruling agreed with the arguments offered by the leagues, in that the lawsuits against New Jersey’s legalization efforts were fully legal because PASPA was, at the time, the law of the land. Shipp’s ruling notes that the constitutionality of the PASPA ban was not originally part of the effort brought by New Jersey to legalize sports betting. Instead, the state focused on legislative efforts designed to produce a workaround in the form of a partial repeal of New Jersey’s own pre-2012 laws against sports wagering. Only later, when multiple courts ruled that New Jersey’s partial-repeal efforts were indeed an authorization in disguise, did the US Supreme Court decide to examine the constitutionality issue. Shipp continued, “This Court, the Third Circuit, and the Supreme Court all found the 2014 Repealer Law authorized sports betting. That PASPA’s constitutionality was introduced on appeal does not convert the bond, which assured that the 2014 Repealer Law amounted to an authorization, into a bond that assured any and all possibilities. Shipp’s ruling, of course, also reaffirms his own initial judgment on the case, though his discussion and footnotes emphasis the narrow construction of the legal pronouncement being offered. Monmouth Park and its parent NJTHA could appeal Shipp’s ruling, though the post-factual argument of the clawback effort was, and remains, an uphill effort.